New favourite snack: beet bites! 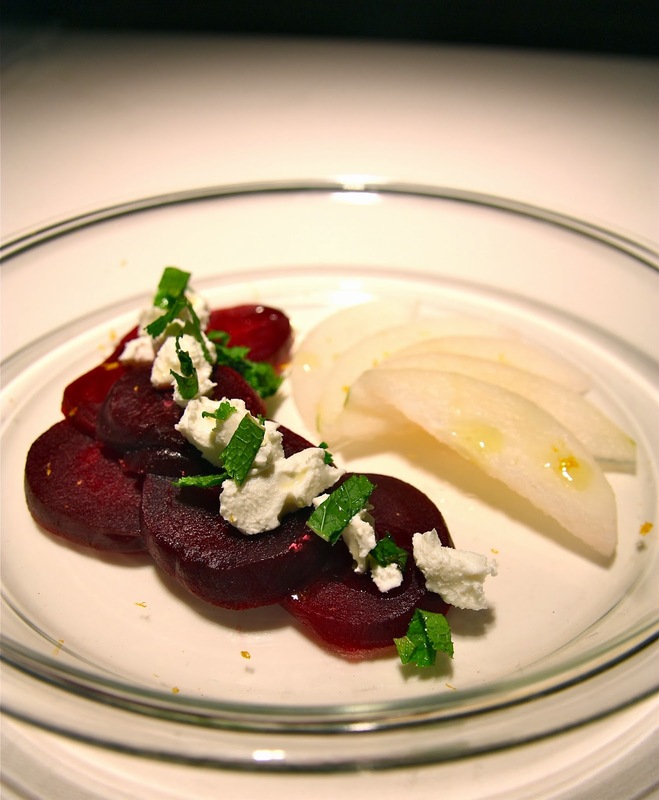 Beets, goat cheese, mint, salt, pepper, olive oil... of course there's the snack version, and then there's the version you use for when you want to impress dinner-party guests with your sick presentation skills (sort of). Added a little pear to make the plate less lonely and the texture more crunchy.